Bollywood actors Tiger Shroff and Disha Patani, who are rumoured to be dating have shared screen space yet again, this time for a music video as part of an ad campaign. 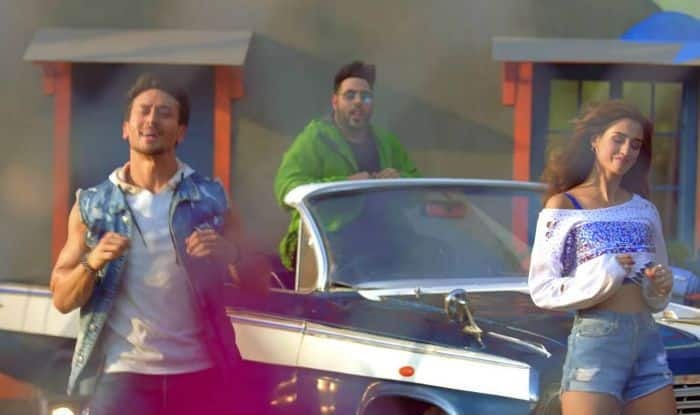 As part of Pepsi’s 2019 ‘Har Ghoont Mein Swag’ campaign, the anthem also features star rapper Badshah and has been choreographed by Ahmed Khan. Disha, who has starred with Tiger in Baaghi 2 and some music videos as well, said the campaign reflects the “cool attitude and swag of the youth”. “The song is effortless, peppy and extremely relatable. The dance steps, the music, the colours and the costumes all come together to add to the perkiness of the song. I can honestly say I have never enjoyed shooting for a song so much in my life. I hope people enjoy watching the song as much as I have enjoyed performing for it,” the actress, who is more than friends with Tiger, said in a statement. Ahmed said “Har ghoont mein swag” is the “youth anthem” it sets out to be. “Today’s new generation is armed with self-belief and swag. They are effortlessly cool and don’t hesitate to stand up for what they believe in. We have showcased this very attitude in the music video. I had an absolute blast working with Disha, Tiger and Badshah and that fun translates on-screen,” he added. Tarun Bhagat, Director – Marketing, Hydration and Cola, PepsiCo India, is confident that “with Badshah dropping the bass on our baseline, Disha and Tiger burning up the screen with their dance moves, and Bollywood heavy hitter Ahmed Khan directing the video”, India will be singing the song right back. Both Tiger Shroff and Disha Patani are busy with their upcoming projects in Bollywood. Heropanti actor has Dharma Productions’ Student Of The Year 2 with Ananya Pandey and Tara Sutaria lined up for release this year. Disha Patani has got Salman Khan starrer Bharat which will release on Eid, June 5, 2019. Bharat is set across several decades and will show Salman’s character in various avatars. It is the official remake of a Korean film titled, Ode To My Father. The film is directed by Ali Abbas Zafar. The film also stars Katrina Kaif, Sunil Grover and Nora Fatehi in pivotal roles.